Each year we like to close with a recount of significant happenings surrounding bourbon. 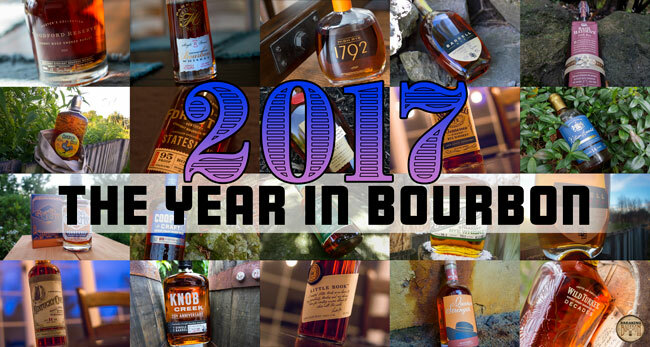 2017 continued many of the trends we’ve been observing in bourbon in recent years. Production and volume sales continued at a strong pace, both domestic and internationally. Distillery expansions experienced forward progress with end goals of keeping up with growing demand. Larger organizations acquired small but recognizable brands. The industry was saddened by the loss of Parker Beam, long time master distiller at Heaven Hill and one of bourbon’s legends. Bourbon continued to overflow into the mainstream, including the announcement of a sitcom based around a fictional Kentucky distiller. And not surprisingly, new and limited releases continued to flood the marketplace. All indicators suggest the bourbon industry continued its strong growth pattern in 2017. Large distilleries clamored to beef up operations to meet demand. Age statements, now essentially a thing of the past on everyday bottles of bourbon, have found their way back, but in the form of limited releases in many cases. Brands continued to work to define their role with consumers, new and existing. Bourbon culture, ancillary products, and themed cocktails have solidified their place as mainstays in the United States. The Distilled Spirits Council reports accelerated growth with American whiskey, bourbon, Tennessee whiskey, and American rye volumes up 6.8% to 21.8 million cases and revenues up 7.7% to $3.1 billion for 2016, as reported in February 2017. Council Chief Economist David Ozgo notes, “The American Whiskey trend has plenty of room for growth as the country trends back toward historic levels of whiskey consumption.” Also notable - Cognac volumes were up 12.9% (revenue up 15.3%) and Irish Whiskey volumes were up 18.7% (revenues of 19.8%) for the same period. Other parts of the world continued to show a strong appetite for American Whiskey as well. 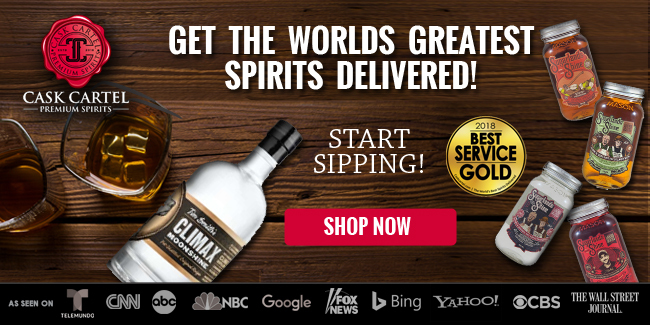 The Distilled Spirits Council reports the value of American spirits exports climbed 10.6% in the first half of 2017 as compared with the same six month period in 2016, an increase of more than $67 million to achieve a total in excess of $698 million. This growth was largely driven by American Whiskey, which includes bourbon, Tennessee whiskey, and American rye - of which accounted for over $464 million of that total, an increase of 6.1% for the category. The strongest growth markets include the United Kingdom, Japan, Germany, France, and Brazil - which was up 313.8% to over $10 million. Canada remains the single largest export market with over $87 million for the six month period. Though it does not host the largest number of whiskey distilleries of all the states, Kentucky remains the largest producer of bourbon on a per volume basis, estimated to be as much as 95% of the United States’ total bourbon production. Bourbon barrels aging in Kentucky topped 6.8 million according to the latest report from Kentucky Distillers’ Association (KDA). When considering the ancillary support and tourism industries related to Kentucky bourbon, bourbon’s overall economic impact on the state is also very significant according to KDA’s report. ‍Buffalo Trace: $200 million expansion with the first new warehouse, capable of housing over 55,000 barrels of bourbon, is expected to be complete by the end of 2017. 30 additional warehouses will be constructed and filled over the upcoming years, and other plans to expand production capabilities are underway. 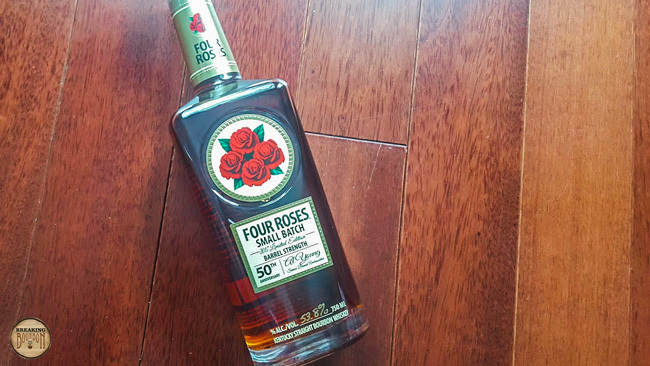 ‍Four Roses: $55 million expansion underway at their Lawrenceburg distillery along with adding four new warehouses to their Coxs Creek warehouse and bottling facility. This will increase square footage from 15,000 to 79,000 and replace 4,000 gallon tanks with 25,000 gallon tanks. Bottling line speed is expected to increase from 43 bottles per minute to 180 bottles per minute. Expansion efforts are expected to be complete by the end of 2018. ‍Heaven Hill: Completed its $25 million expansion at its Bernheim distillery located in downtown Louisville in October of this year. With a 70 foot still and four large fermenters included in the expansion, it will increase Heaven Hill’s distillation production from approximately 300,000 to 400,000 barrels per year, a gain of over 30%. ‍In addition to major expansions, a number of notable equity acquisitions occurred in 2017. French spirits company Moet Hennessy acquired Washington based Woodinville Whiskey Company in July 2017. 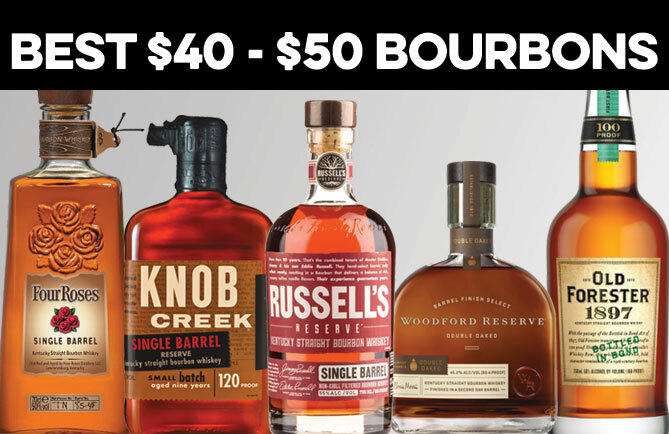 Sourced Masterson’s rye and Bib & Tucker bourbon brands were acquired by Deutsch Family Wine & Spirits, a Connecticut based company that also owns Redemption Whiskey. Zamora Company, a Spanish global wine and spirits group, acquired an equity stake in Houston based Yellow Rose Distilling. Constellation Brands, the producer of Corona beer and Svedka vodka, announced that it made minority investments in Virginia’s Catoctin Creek Distilling Company and Kentucky’s Bardstown Bourbon Company. 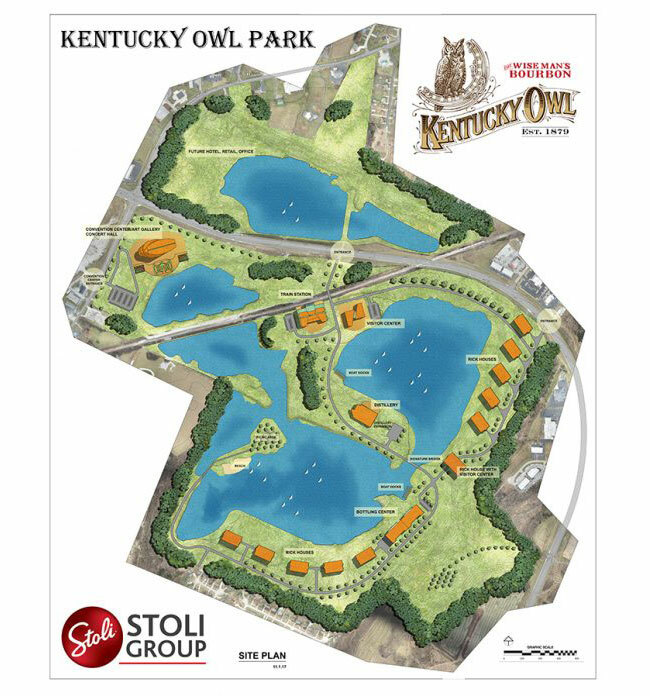 SPI Group acquired Kentucky Owl, who via their Stoli Group operation, broke ground on a $150 million distillery operation and elaborate visitor experience they’ve named “Kentucky Owl Park” in November of 2017. The 420 acre site is located at Cedar Creek Quarry in Bardstown, Kentucky. The bourbon world was saddened by the loss of Parker Beam, who passed away on January 8, 2017. Long time master distiller at Heaven Hill, Parker had been battling ALS for a number of years. In 2013 Heaven Hill released Promise of Hope, a tribute to Parker and also part of their annual limited release series entitled Parker’s Heritage Collection - and notably our highest rated bourbon ever. $20 from each bottle sold was donated to the ALS Association, establishing the Parker Beam Promise of Hope Fund. 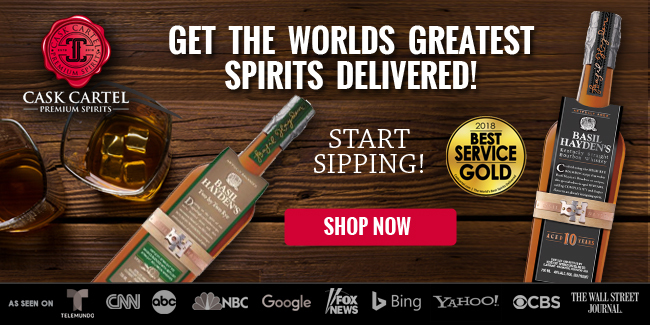 Heaven Hill has continued to donate a portion of proceeds from the sale of each bottle of Parker’s Heritage Collection since. It’s estimated over half a million dollars has been raised to date. Long time Wild Turkey master distiller Jimmy Russell attained 63 years with the company, continuing his role as the world’s longest tenured active master distiller. His son, Eddie Russell who was named master distiller in 2015, attained 37 years. With a combined 100 years with Wild Turkey, Eddie had commented about the possibility of a special “101” release on a Bourbon Pursuit podcast. 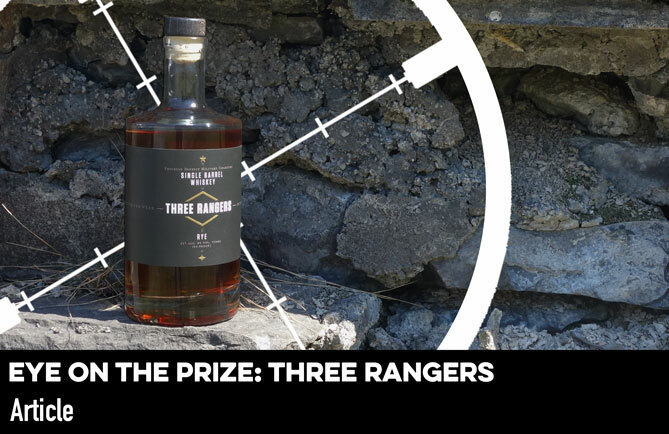 The concept would commemorate their combined 101 years with the company - a significant number based on their flagship Wild Turkey 101 Bourbon. As they achieve that mark moving from 2017 to 2018, it’s possible we may see a special release in the near future. Four Roses released Al Young 50th Anniversary Bourbon, a tribute to Senior Brand Ambassador Al Young’s 50 years with the company. This limited edition small batch, barrel proof bourbon was comprised of four recipes including a 23 year old OBSV. It was released in June of 2017 with a total of approximately 10,000 bottles. Most notably, the year 1967 when Al Young started with the company was made significant by changing the bottle design to throwback to those that were in production at the time. Four Roses captured more of Al’s perspective here. 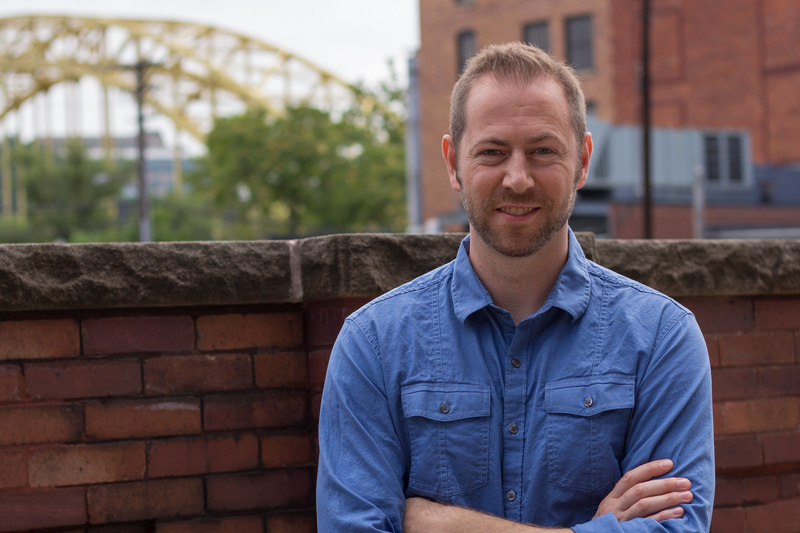 Beam introduced another significant whiskey to the market, Little Book “The Easy.” It’s the first product release from Freddie Noe, eighth generation Beam family member and son of current Beam master distiller, Fred Noe. A unique blend of four different whiskeys and offered at barrel proof, this first edition of Little Book is a limited release in and of itself, though it represents the first in a new line of whiskeys, with each subsequent edition planned to be unique. Old Rip Van Winkle Distillery, a company made famous for its “Pappy” Van Winkle bourbons, released Old Rip Van Winkle 25 Year Old Bourbon. 11 barrels comprised the release, yielding 710 bottles packaged in handmade glass decanters, a wooden box, and at a suggested retail price of $1,800. 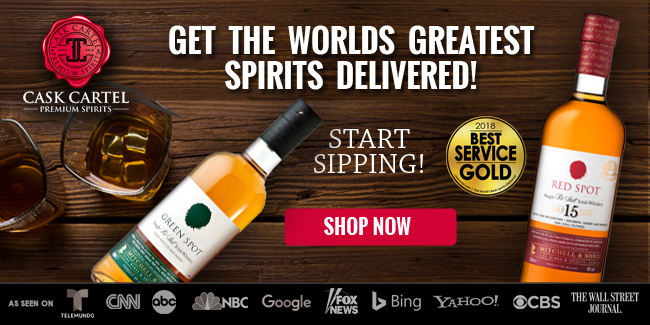 Fans quickly took note, as this rare and highly publicized offering has reached secondary pricing of $15,000 or more per bottle within just a short time. The company's press releaseprovides more information about this rare offering. Willett, a storied family distillery, celebrated 80 years with the release of Willett 80th Anniversary. A limited 5,200 bottle offering, the non-age stated (presumably 4 years old), 100 proof, small batch offering may be most significant as it was comprised of bourbon they had distilled onsite after many years of only sourcing bourbon for their brands. Buffalo Trace’s much anticipated Buffalo Trace Antique Collection (BTAC) saw a massive increase in overall production volume this year. A cross-section of American whiskeys spanning a wide range of ages, proofs, and styles, BTAC is widely revered as some of the best and most highly sought after American whiskeys released each year. According to our estimates, aside from Eagle Rare each bottling saw an increase, with George T. Stagg at an estimated 37,998 bottles, approximately 4x greater than last year. 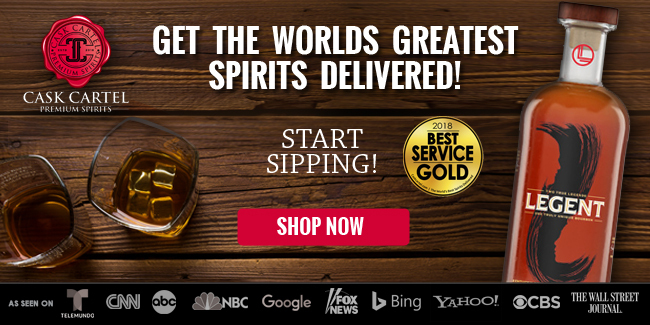 In celebration of the 225th anniversary of the year the Commonwealth of Kentucky joined the United States of America, Barton 1792 Distillery released a commemorative 225th Anniversary Bourbon available one-time and only in Kentucky. It was comprised of a distinct batch of 10 year old barrels hand selected for the release. ‍Bourbon has easily become a mainstay outside of its once more finite community, spreading its tentacles into surrounding culture, products, and everyday conversation. Wild Turkey and Jim Beam continued their highly publicized marketing efforts with Matthew McConaughey and Mila Kunis, respectively. Considering the stark contrast in their approach, we polled Twitter followers in September to see which approach they preferred. As a tie-in to the film, Kingsmen: The Golden Circle, Old Forester released Statesman, a 95 proof bourbon comprised of barrels selected from the warmest places in the warehouse. Innocuous on paper, Statesman doesn’t fall back on a high proof or unique flavor profile to get your attention. It has a great mouthfeel, rounded edges, and robust flavor profile that doesn’t overdo it. Incidentally, it made our Favorite Whiskeys of 2017 list. 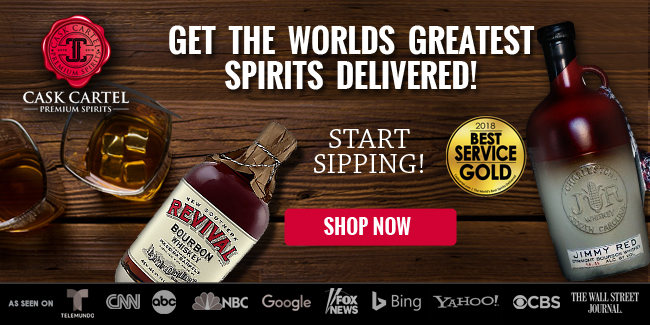 NBC announced plans for a bourbon based sitcom titled “Sour Mash” as reported by Deadline.com. The 30 minute show will be about a brilliant Latina chemist from Brooklyn with a passion for making bourbon who is tapped to become master distiller at a failing family-owned distillery in Kentucky. The cast and air date have yet to be announced. After over three years of production, the feature length documentary “NEAT” premiered on September 7, 2017 for a hometown screening in Lexington, Kentucky. Described as the story of bourbon, NEAT also explores the significance of bourbon in our culture and the more human side of the experience. You can learn more about the film atthebourbonfilm.com and watch the trailer below. ‍Breaking Bourbon celebrated three years in 2017, and now we're quickly approaching number four. Since our initial launch, we’ve completed over 180 in-depth whiskey reviews and posted more than 70 articles including opinions, surveys, flights, and face offs. 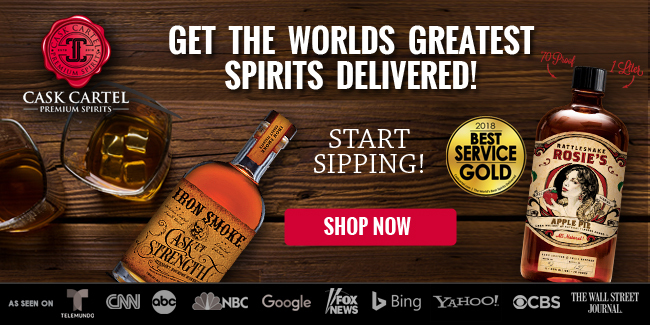 Initially launched in 2014, we’re on the fourth consecutive year of the Bourbon and American Whiskey Release Calendar. ‍In late 2017, we launched a new segment on our website called Tasting Note Tuesdays. Featuring brief tasting notes and foregoing ratings as we assign in our reviews, this segment was launched in addition to our standard full reviews and weekly content. Quite simply, we had found our backlog of bourbons we'd like to review had become so extensive we didn't think we'd ever catch up using our standard, and intensive, review process for all of them. With bigger plans on the horizon, in 2017 we looked to fans of Breaking Bourbon to participate in helping achieve those goals. In June of 2017 we launched a Patreon campaign, which is essentially crowd-funding for creators. Included in the thank you gifts we send to supporters is the opportunity to participate in content we create, Release Calendar update emails (every time an update is made an email goes out with a summary), custom reusable tasting sheets, and Breaking Bourbon engraved glencairns. The campaign has grown tremendously since launch and we want to thank all of our supporters. In September we launched an online shop, which currently features a growing assortment of custom t-shirt designs with the bourbon enthusiast in mind. 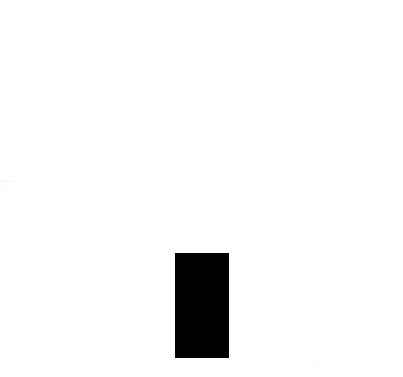 New designs will be released on an ongoing basis. In the upcoming year you can look forward to even more surprises. In the near term we’re launching additional ‘Best Of’ whiskey lists, our ‘New 2018 Whiskeys’ article, and our first Patreon collaborative post which digs into the topic of value. With so much happening in bourbon, what will you remember most from 2017?